Sickle cell or sickle cell disease (SCD) is a debilitating health condition, affecting millions of people worldwide. It is one of the most common inherited blood disorders with lots of health complications. The term ‘sickle cell disease’, refers to a group of inherited red blood cells that are structurally abnormal hence, they cannot perform their duty well. Victims have abnormal hemoglobin, known as ’Sickle hemoglobin or hemoglobin S ‘ in their red blood cells. The cause of the disease is inherited hemoglobin gene mutations. Hemoglobin genes tell the body how to create a vital red blood cell protein known as ‘hemoglobin’. The protein is responsible for carrying oxygen throughout the body. To develop SCD, you need to have two altered hemoglobin genes, one from each parent. If you only have one of these genes, you will have sickle cell trait, which is a very mild version of the disease. Sickle cell is not contagious but rather inherited. In other words, you cannot catch it or contract it like in the case of an infection. The condition is passed on from parents to their children through the genes.Victims derive two abnormal hemoglobin genes, one from their mother and another one from their father genetically. At least one of the two structurally incorrect genes causes an individual’s body to produce sickle hemoglobin or hemoglobin S. When the victim has two sickle hemoglobin genes, the disease is commonly referred to as ‘sickle cell anemia’. Sickle cell anemia is not only the most common, but also the most serious type of sickle cell disease. Other common kinds of SCD include hemoglobin Sβ thalassemia as well as hemoglobin SC disease. Many people cannot distinguish sickle cell trait and SCD despite the fact that the two conditions are not the same. Having sickle cell trait simply means you carry a sickle cell gene, but it doesn’t normally cause illness. 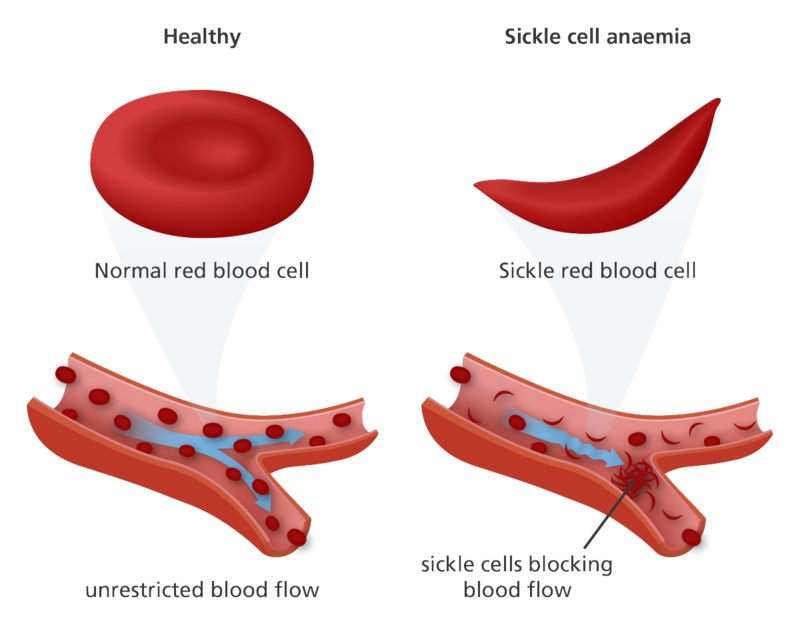 People with sickle cell trait have a huge survival benefit over people with normal hemoglobin against malaria. While the scientific community only became aware of sickle cell disease in the early 20th century, it is thought that the history of SCD could date back to late 17th century when a family living in a remote area of Ghana first suffered from the symptoms of structurally abnormal hemoglobin variants. It went on without attracting the attention of the scientific community until in 1910 when doctor James Herrick published a journal about having observed strange elongated sickle shaped red blood cells in the blood of an anemic medical student. The SCD would only be understood better by scientists in 1917 after about 7 years of research.They discovered that it was an inheritable condition, one that is not contagious unlike many diseases.Since the groundbreaking discovery, there has been a constant expansion of information about the disease with more details still unfolding. SCD affects the red blood cells, causing episodes of sickness, episodes of vascular pain in the hands and feet, dehydration, cold, infection, hypoxia (deficiency in the amount of oxygen reaching the tissues) and other symptoms. However, patients are normally well in between these symptoms. Long-term complications can also arise from sickle cell disease. It is advisable for people with SCD to seek early diagnosis and expert treatment as specialist treatment, begun early in life, can prevent long-term complications. 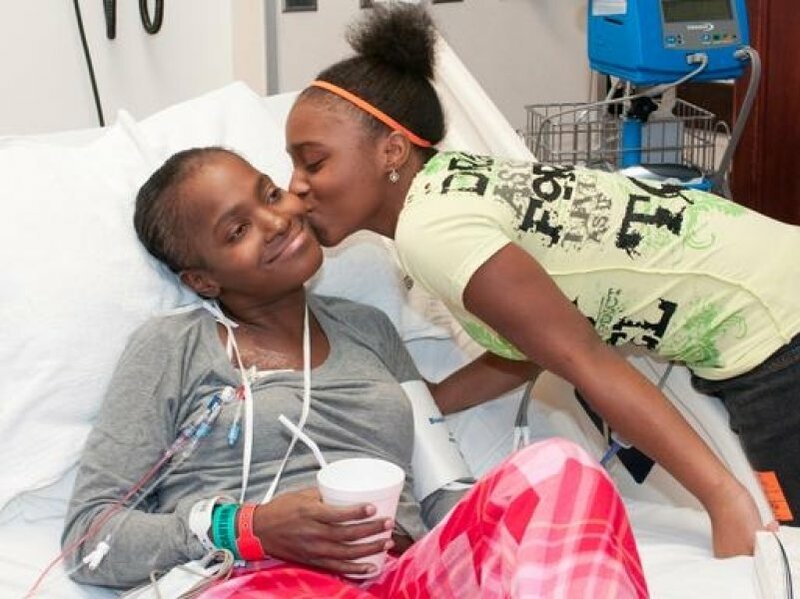 University of Illinois Hospital sickle cell transplant patient Ieshea Thomas and her daughter, Miayatha Thomas. 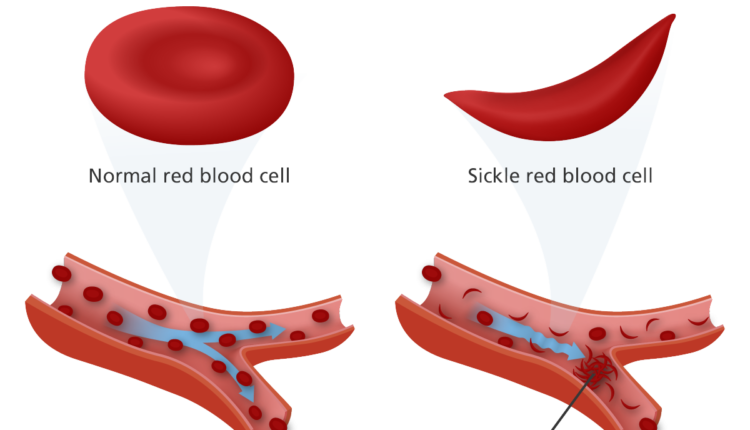 While the sickle cell phenomenon is considered a major health concern, numerous studies suggest that, sickle hemoglobin might help prevent malaria infection by getting in the way of the plasmodium parasite, which infects the red blood cells with malaria. Although SCD is chronic in nature, but it is treatable and it is not a death sentence. A few decades ago, those who were born with sickle cell disease rarely lived past 20 years. Now, the situation for SCD victims has improved tremendously, thanks to the modern treatments as well as therapies. People with sickle cell disease can now live past 50s. In as much as SCD remains to be a very devastating chronic illness, patients can lead very productive lives with it. Doing exercise regularly is a good way to alleviate sickle cell complications. Intravascular haemolysis, increased oxidative stress, red blood cell sickling, blood cell-endothelium adhesion, and blood rheology abnormalities contribute to the pathophysiology of sickle cell disease. Since certain exercises may help amend these pathophysiological issues, supervised regular physical activity under professional supervision is often recommended for patients with SCD. Doctors recommend avoiding exposure to extreme cold or heat as these severe temperatures can increase your risk of developing complications related to the disease. Lack of enough water in the body worsens your SC condition. Drink plenty of water and other fluids throughout your day to curb the disease. Increase the amount of your water intake especially if you workout or spend time in hot, dry conditions. Choosing a healthy diet, which focuses on whole grains, vegetables, fruits and folic acid supplements, is a good way to limit SCD crises. Your bone marrow requires whole grain, vegetables and fruit nutrients alongside folic acid to make new red blood cells. The subject of marriage and sickle cell continues to be a hot debate in many places. Should individuals marry without paying attention to each other’s sickle cell status? Absolutely not, it is advisable to both know your phenotypes first before making the decision to settle down. People who both have SCD should not join in matrimony, because they would definitely give birth to children with the same health problem. However, they can marry healthy partners without this condition and give birth to healthy babies or SCD carriers in the worst-case scenario. While anyone can be born with sickle cell disease, SCD is more prevalent in people of Indian and African origins. There is a scientific explanation as to why so many sickle cell victims always tend to be Indian or people of color. Although the disease can be so debilitating, seeking early medical intervention makes sure it will not hinder the victim from being a normal and productive person.